Catalog Central™ is a content management system that delivers information about your products and services. Catalog Central® was built around the concept that at its core, your company website should be about sharing information with your customers, partners and employees. Help your customers find products and get information on your products by utilizing the advanced catalog features of Catalog Central®. 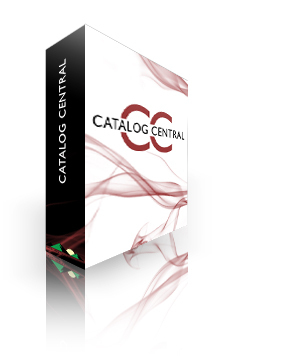 Catalog Central® is designed around quick and intuitive content management. Every element on a Catalog Central page can be edited simply by clicking an Admin edit button which only appears when a user is authorized to edit that element. Full-featured web-admin screens let you edit and customize every item on the site. Catalog Central® includes a powerful email template system that allows you to create website email forms for product returns, customer support and sales inquiries. No programming knowledge necessary, just fill in some fields and upload the file. Catalog Central® has a complete queuing system that improves website response and can be used as a batch emailing system for customer service emails. Online catalog of your product line. Allow customers to search product documentation and specifications. Build dynamic, targeted FAQ's using customer inquiries. Sell Access to digital media. Send out product update emails. Provide restricted access to select materials on your website. Multiple catalogs: You can setup many catalogs in a single database. This helps you target your audience by presenting a specific subset of products, with their own category structure and product descriptions. By doing this, you can show your customers a branded catalog and website. Extended product details: Don't be restricted to the limitations of field size in your existing database. The advanced catalog has the ability to create large formatted text descriptions of your products. These descriptions can either be stored as plain-text or as HTML for a richer purchasing experience. Multi-Level categorization: Categories are an easy way for your customers to find your products. By simple browsing a multi-level structure, they can "drill-down" to the item they are looking for. These category levels can have an unlimited number of subcategories under them and a product can be assigned to as many categories as you would like. Attach product images and documents: Product images (thumbnails, regular, and large) can be tied to a product or category. You can also attach documents (such as spec-sheets, manuals, or brochures) to a product or category so your customer can download them. Product Grouping: Group multiple products on a page for easy selection of what the customer needs. Inform your customers of specials or new products. Remove the need for additional 3rd party promotional email software.